Listening is key to medicine. Going to a doctor who is not responsive to your complaints can have dire results. If your doctor isn’t listening to you, keep complaining. If they keep ignoring you, get a second opinion. Your health may depend on it. A patient walked into our office today for a MRI of her lower back. In addition to back pain, the patient had what she thought was a mass in the area of her abdomen near her spine. She had complained about this mass to her Primary Care Physician on more than one occasion, but his reaction to her had been that she was imagining it—it was all in her head. He did not even examine her or probe the area in question. Months later, a chiropractor she consulted for back pain, sent her to our facility for an MRI of her lower back with contrast. Both patient and chiropractor asked if we would be sure to include the area where the patient (and back doctor) felt this “imaginary” mass. We did so. In addition to finding the herniated disc that was the source of much of her back pain, we found a large tumor, approximately 2” in size! The MR image below clearly shows an enhancing, soft tissue sarcoma. The image on the right is before contrast was administered; on the right, the contrast causes the tumor to light up like a lightbulb. This is a rare tumor, occuring in approximately 1 in 1,000 people which, if left untreated, can kill. Thanks to new “open bore” technology, our OPEN MRI scanner is not only the widest and most spacious made today, it is also the most powerful and least claustrophobic OPEN MRI in the world. The extra strength of this 18-channel 1.5T MRI means two things: 1) it takes images that are clearer than typical 0.3T or 0.4T “Open” MRIs; and 2) it takes images much more quickly. Not only that, but a new software called BLADE actually compensates for movement. So, if you simply cannot remain perfectly still, this slight movement will no longer ruin your study. Just this week, BLADE enabled us to detect a lumbar fracture in a nursing home patient which was missed by x-ray in the emergency room. Because of the extreme pain, the patient simply could not keep completely still. Readers of this journal have already heard of the benefits of 3T MRI. Stronger. Faster. Sharper. Better resolution. As with digital cameras, where higher numbers of MegaPixels result in better pictures, with MRI, higher “T” (tesla) results in better images—up to 8 times faster than other MRI scanners! We are proud to announce that MRI Consultants now has an office in Lewes, Delaware, in the Village of Five Points (next to the Food Lion). This office is equipped with our most advanced MRI scanner yet! A 32-channel 3T MRI scanner. Having 32 “channels” is like having a suped-up hotrod. It increases the strength of the MRI scanner considerably … in this case to a point where it’s almost like having a 6T MRI scanner! So far, there are only four such scanners in the world … one of which is at the NEURA Institute in Australia and is used for advanced functional and trauma researach. The 32-channel head coil can detect the subtle changes in the fiber tracts of the brain—very important for brain trauma due to explosions that is so frequently suffered by our returning veterans. A 1.5T MRI scanner simply cannot detect these subtle, but very real changes to the brain. The entire population of the State of Delaware now has access to 3T MRI—another First for the First State! MRI is improving. MRI does not expose patients to radiation. CT scans use a lot of radiation. As MRI scanners get better, the need to expose people to so much radiation diminishes. There are simply less harmful ways to get the same information. But not all MRI scanners are equal. There are strong ones and weak ones. Old ones and new ones. It can be confusing. We strongly recommend you ASK an MRI facility how strong their MRI scanner is. How old is their MRI scanner? Because while it is true that GOOD MRI is as good as (and sometimes better than) CT scans. Poor MRI is not. Find out before deciding where to take the prescription your doctor gave you to get an MRI. (Remember, the doctor writes the prescription, the patient decides where to fill it.). Contrast MRIs are particularly good for finding tumors. It does this without radiation and the contrast used in MR (which is neither iodine, nor shellfish-based) is much safer. And, even within the group of five or six MR contrasts, we use only the safest—Multihance, Prohance and Eovist. (See www.safecontrast.com). The tumor mentioned at the beginning of this article would likely have been found using a CT scanner, but a follow-up MRI with contrast would have been required to confirm, and further define, the tumor before a biopsy could be performed. MRI Consultants remains committed to providing the very best imaging and patient care possible. 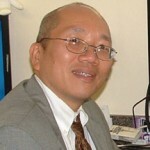 Dr. Chao is available to talk to patients and doctors alike. We want to give you the best study possible. As with the patient mentioned above, listening to both the referring physician and the patient regarding her suspected mass resulted in our being able to identify something that could have been missed if we had a more generic approach to medicine. Also, given the complications of medical insurance (thank you Washington), our new office will offer a special price for self-pay patients. Our Out-of-Pocket price for an MRI without contrast is $500. We care and we offer the best technology at a reasonable price. Next Story → Ldl Cholesterol, What Does That Mean To Me?